A quick and easy kadhi recipe is very much similar to normal dahi ki kadhi that can be served during fasting days like Navratri, Ekadashi, Shivratri or Poornima. 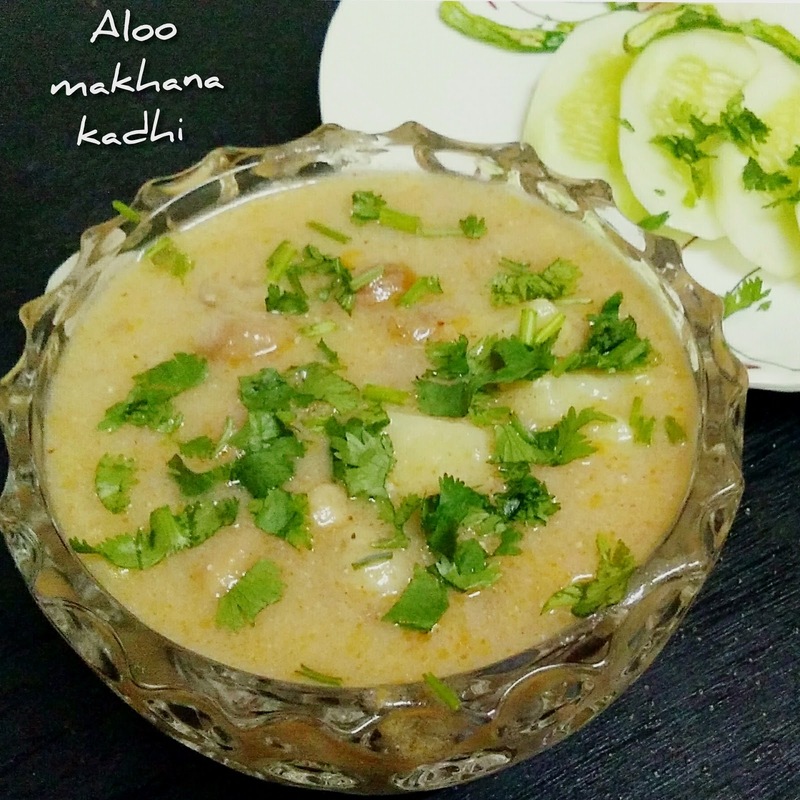 For this easy and simple vrat ki kadhi i am using very basic ingredients. It is thick gravy made from water chestnut flour, curd, fox nut, peanut and some simple and basic spices like salt, green chili etc. In a bowl mix singhada flour, salt and curd set aside. peel and cut the potato into small cubs. Heat 1 tbsp ghee in a pan and fry the makhana for 5 minutes on slow heat. transfer to a plate. Add remaining ghee in the same pan and add cumin seeds to crackle. now add ginger and green chili paste, stir and mix it well. Add potato, soaked peanuts and 1 tbsp water, cover and cook for 5 minutes on slow heat. Now add curd mixture, black pepper powder and fox nuts. Add 1 glass water, cover and cook for 5 to 8 minutes. Serve hot with Rajgira, Kuttu ki poori or boiled Sama rice along with some slice of cucumber and radish . If the kadhi looks too thick you can add more water and cook for 2-3 minutes. You can also add some roasted nuts.